I think its pretty good that they already are out with performance increases and bug fixes gives me a little hope. Well there is no SLI profile (no bits) so it is no doubt just showing activity across both GPUs. The bits present in the current profile are the standard single GPU bits 0x00000004 (and the profile is set to SIngle GPU). I know you can get it going with the BF1 profile (in DX11), but it introduces graphical anomalies. The 2:29 scene and onward is just the demo video from the announcement way back in October. I also don't see either thing you're talking about in 1:17 or 1:19. I can clearly see the tree in 1:19 - like it's 100% green blotch thing in the reflection that definitely looks like it stretches up above the red @ 1:21/22. The structure in 1:17 looks rotated but when he gets closer it looks more like its just an optical illusion due to lack of contrast/depth, looks fine at the end of the scene. Interesting, i'll have to fiddle around with it and see if i can make it only do work on one GPU and see if the performance drops. I've been playing on a 4K TV with absolutely phenomenal performance so i really never thought to verify if SLI is actually making the performance better. Unless you have physically modified the profile, I would wager you are only getting single GPU performance as there is no official support for SLI in DX11 or DX12 (yet). This implementation method is changing one weakness for another and brings in damn high performance reduction while doing so. The patch has just been delayed at the last minute, as a bug was found, no new date given. Are we talking about the same tree? Because the pine tree on the left side of the red building is 100% there the entire time. It's obscured slightly due to the rough patch of ice but there is definitely a green blob where it would be in the reflection the entire scene on the optimized version. Lovely red building in front of which is small, brown, wooden storage... which btw. is not present in Ultra Quality "raytraced" reflection on left (before update). Those are scenes they did pick up to show. There's missing stuff left and right, visual errors. I have hard time understanding how can people not be like: "WTF?!? That kind of fps drop for this?" You can see how wrong it is even at relatively blurry video. How bad is it when actually moving around and actively exploring those reflections? When are you going to update the Benchmark for BF5 with this new patch, cause i'm wondering if i should purchase the 2070 and not go broke with the 2080. I'll be playing on a 1080p 1ms 144hz monitor with either one. Delayed by a day, comes out on the 5th. 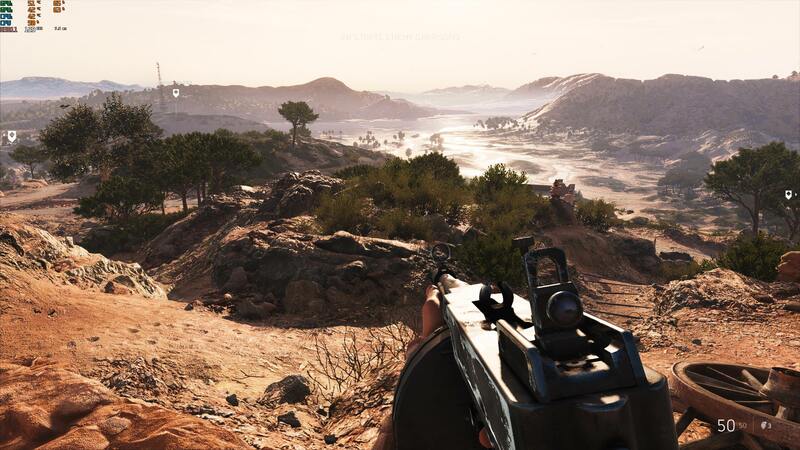 Are you going to update the benchmarks for BF5 with this new update? I'm wondering if i should just get the RTX 2070 instead of the RTX 2080, but wanted to know the performance hit with the Ray Tracing on the 2070 to see if it was worth buying to save some money since the RTX 2080 is way over my budget.